Case Studies NuGEN Technologies Inc.
NuGEN, founded in 2000, is a biological science reagents provider. NuGEN is an innovator of solutions for DNA and RNA analysis for a broad range of sample types. NuGEN provides customizable options for capturing the target biological information needed for your experiments. The company is based in San Carlos, California with technical support staff available in North America, Europe, and Asia. 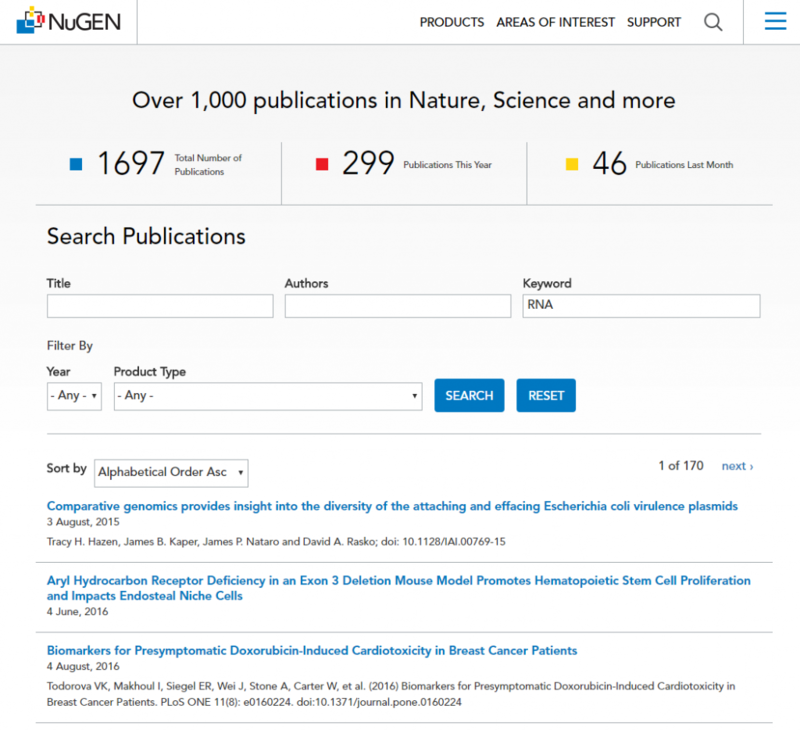 We track new scientific publications referencing Nugen every month. In addition, we also extract the products being cited in each citation (e.g. NuGen Ovation v2). With the data, they build a searchable database where the web visitors can easily search references. 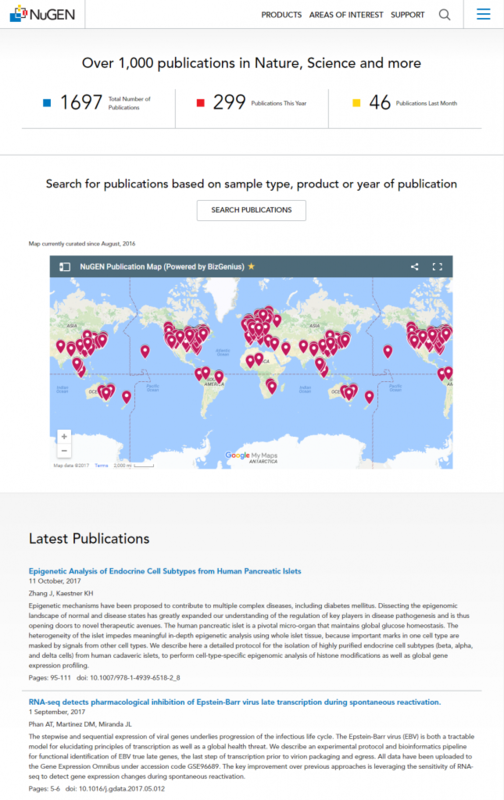 We also maintain a citation map for Nugen, which is updated monthly as well. On their end, they do not need to update their webpage at all – the map is embedded in their page and will be updated automatically.